If you’re unhappy with your cellulite and have an option to do something about it, why wouldn’t you?! BTL CELLUTONE™ offered at our skin care clinic in Mississauga is the perfect solution to eliminating the appearance of cellulite, all while tightening and contouring the skin through a relaxing and non-invasive process. The CELLUTONE™ device uses the magic of targeted therapeutic vibration, which works by increasing lymphatic drainage, eliminating waste and improving blood flow – leading to one truly incredible result for the patient. Of course. A treatment with BTL CELLUTONE™ is very safe and painless. The therapeutic vibrations used to treat the tissues deliver a comfortable experience for the patient. Patients often notice visible improvements after just one session. It is often recommended to undergo 4 to 6 sessions over the course of 3 weeks or so for the best results. 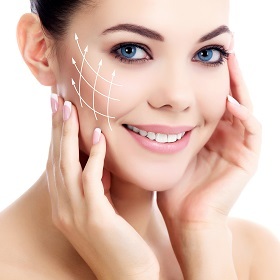 Patients of all ages and skin types are typically candidates for the non-surgical BTL CELLUTONE™ skin treatment. Ready to improve the appearance of cellulite, as well as tighten and tone with CELLUTONE™? Contact us today to learn more!